At many theme parties we awaken our colourful side in many different ways. 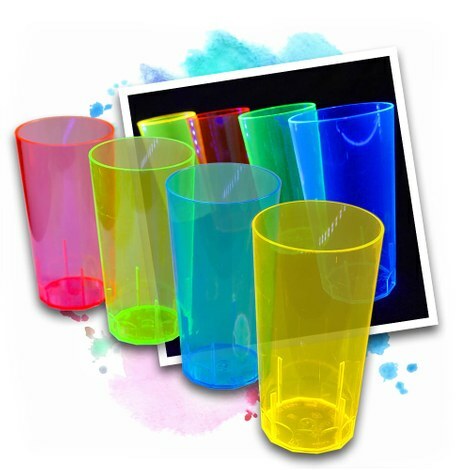 To complete a cohesive overall picture, cups in neon colours are precisely what you need! They are just as suitable for private parties as they are for larger events. 100 neon UV cups: Our 250 ml glasses can be washed in the dishwasher, the same way as our other cups. 20 neon UV cups: This smaller pack includes 20 cups and is ideal for private events. 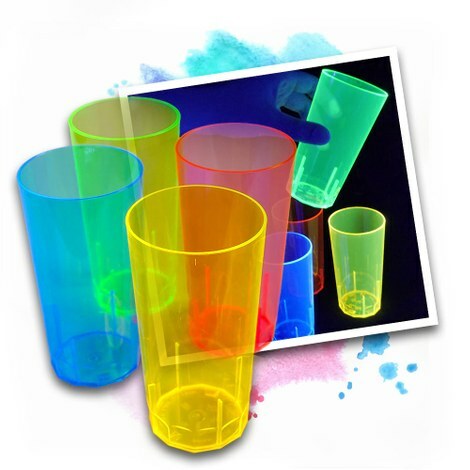 16 neon shot beakers: Our colourful shot glasses contain 50 ml and, like all our cups, are made of high-quality plastic.